This article by Vichitra Nades first appeared in #edGY, a section of The Edge Malaysia, on 1-7 June 2015. THOSE who choose to start their own business often face a steep learning curve and a different set of challenges compared with a salaried employee. Yes it’s exciting, but it’s also hard, as some young lawyers have found. Three lawyers talk to #edGY about the challenges of starting up, what they have learnt so far and what advice they would give to other young lawyers who are thinking of taking the leap into entrepreneurship. 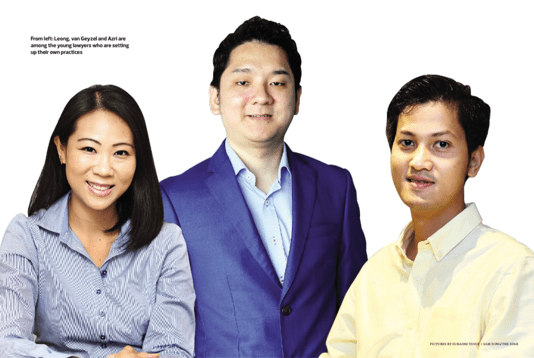 They are Azri Malek of Azri Malek & Partners, Marcus van Geyzel of Peter Ling & van Geyzel and Joanne Leong of Yeoh & Joanne. Joanne, Marcus, and Azri. | Photo from The Edge. Each of them practise in different areas of law and had worked previously in other firms before deciding to start their own businesses. Leong’s firm is the newest — she and her partner started about two months ago. Azri is the only person running his firm, which started eight months ago, while van Geyzel’s firm has been around for more than two years. Azri Malek. | Photo from The Edge. 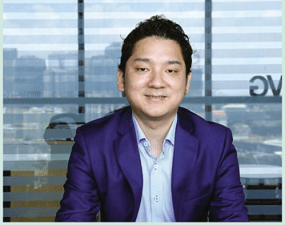 Azri Malek is a one-man law firm, that is unless you count his only employee — a receptionist who sits at the reception area of his office in Kuala Lumpur. He started the firm about eight months ago and specialises in property law. But he also practises other areas of law such as corporate and litigation. The firm looks set to expand, with a few partners planning to join 29-year-old Azri in the coming months. 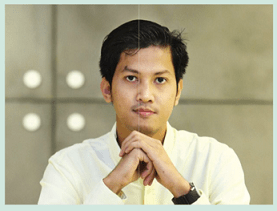 For Azri, running his own practice gives him the flexibility to take on more social activism and voluntary work, which he is passionate about. “One of the main reasons why I wanted to start my own practice was because I wanted to chart my own path and have control over my time. Apart from the legal profession, I’m also involved in voluntary work, which takes up my time. “So for those kind of things, this gives me freedom,” says Azri, who began practising law in one of Malaysia’s largest law firms. #edGY: What was the hardest part of starting your own firm? Azri Malek: The hardest part was actually the decision to step out of my comfort zone. It took around six months of soul-searching. I prayed and felt at ease with making the choice, that’s when I jumped at the decision. When you’re starting on your own, there is no fixed income. For everything, you have to push your way through. How has business been since you started? Frankly speaking, since my business is still in its infancy, there were certain months when I had no clients at all. But there were other months when I had more than enough clients. When I average it out, I’m making more or less the same as what I was earning before. What is the difference between having your own firm and working for one? You have to be more disciplined [when you have your own firm] because there’s no one to discipline you, so to speak. You have to set your own targets and achieve it. At the end of the day, you’re only accountable to yourself. Sometimes, people who aren’t used to having bosses take it easy, so you have to be really disciplined. The good part is that you have more control and ownership of all your clients. What are your future plans for the firm? To expand it. To be a niche and boutique law firm that gives lawyers the opportunity to do property, corporate and litigation work while at the same time, making it possible for them to pursue their other interests outside of work. For example, human rights is my passion. But in a big firm, you can’t sustain [yourself just by working on these cases]. You do need commercial work for the cash flow, no doubt about that. There’s a better balance. What advice would you give to other young lawyers who might want to start a firm? Trust your heart and have faith that sustenance comes from the Almighty. Sometimes we are slaves to other people but we should only be slaves to our God because He is the one who gives and He comes in many forms. Joanne Leong. | Photo from The Edge. Joanne Leong and her partner Yeoh Tung Seng were salaried lawyers for several years up until March 31 this year. A day later, they opened the doors to their firm Yeoh & Joanne, a small two-person outfit specialising in civil litigation and family law. Leong had always wanted to see her name on her very own firm. But a number of people asked her why she was moving backwards. After all, she had already established herself in her old firm. It seemed like she was throwing it all away. “Now I’m starting all over again. We had to look for a place, get renovations done and do a lot of things. You have no idea how much administrative work goes into starting a firm. All the small details. “But these kind of things excite me. I would never have gotten to do them if I had not come out on my own,” says the 30-year-old. #edGY: What is the best thing about having your own firm? 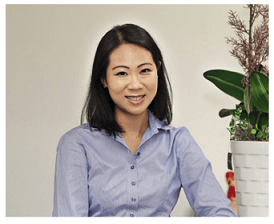 Joanne Leong: Definitely the flexibility. You get to do any case you want, subject to your partner of course. I’m very blessed to have an understanding partner, so we sit down and discuss which case we want to take. If you are in a big firm, you answer to senior partners. If they say no to a case, it’s a no-go. But in your own firm, you are your own boss. But of course, flexibility comes with a price and that means that you’re on your own. What challenges have you faced in starting your own business? I think for all startups, the biggest challenge is how your money rolls over for the next few months. Since we do litigation, the cases don’t end until a month or two. Civil cases can take up to six months and complicated cases can take years. What becomes a worry is how to have sufficient revenue to keep the firm going. I’ve been very blessed because we have friends’ friends referring cases to us and some senior lawyers referring some cases to us too. For the last one, two months, I’d say that the amount of files that have come in has been sort of beyond expectations. What are your plans for your firm? We have no staff yet because we are still so new, so we try to make sure that our operating cost is kept to a minimum. Staff-wise, we would probably hire when we have more cases coming in. Eventually, I would need a clerk to sort out the administrative side of things. In terms of cases, if it gets overwhelming, we’ll need to hire lawyers and pupils. What advice would you give young lawyers like yourself who want to start up? Budget! I think it’s not just for legal startups but for any startup. There are just so many things that you don’t account for in your budget. You must make sure that you have sufficient cash flow for things you don’t expect. We encountered this with our startup, for example we didn’t expect how much stationery would cost. Also, you must be very certain because it’s a lifelong decision. It’s something you can do long term but only if you have a passion for it, especially litigation. If you don’t have a passion for it, after a few years, you will burn out. Marcus van Geyzel. | Photo from The Edge. Marcus van Geyzel spent 10 years working in mid-sized law firms before he left in January 2013 to start his own business with his partner Peter Ling. Their firm, Peter Ling & van Geyzel, specialises in commercial and corporate-related matters but recently added a litigation partner to the mix. Looking back, van Geyzel says he had always toyed with the idea of opening his own firm. It just took courage and planning to make the leap. “It had always been on my mind, perhaps since my third or fourth year of practice. But I had always said I’m not a businessman,” van Geyzel muses. But what helped him overcome the fear was speaking to others who started their own firms and getting a glimpse of the business-side of things at his old firm. #edGY: What motivated you to start your own firm? Marcus van Geyzel: What held me back in the beginning was that I have children … I thought I was comfortable where I was but after a while, I looked at the numbers I was bringing in and looked at the [remuneration] a partner was taking home annually and there was a huge gap. And that made me realise [I wanted to start my own firm]. How many staff did you start out with? We started out with five — two partners, two lawyers and a member of staff. Now we have 13 people. How do you see your firm growing in the next few years? There’s no benefit to having an overly big firm. We would only consider growing if another partner, who has his or her own group of clients, wants to join our firm. Ideally, we would like to have 6 to 10 lawyers, not counting interns. What are some of the lessons you had to learn, going from a fixed-salary lawyer to a business owner? You can’t please everyone, so you have to get over the ultimate disappointment that you have not created a workplace that everyone would be happy with or would stay forever. I’ve also found that remuneration isn’t everything. When I interview prospective lawyers and ask about salary expectations, they say, ‘Whatever you think is fair’. They say that they like this culture, and that’s more important than a higher salary elsewhere. I also find that young people actually like responsibility, which I’m very pleased to see. I find that if they see a purpose in what they do and feel that what they do has meaning, they won’t complain about working on the weekends because they have a sense of ownership. I’ve learnt the value of money because it’s my own firm now (laughs). Client relationships have become more important to me. I found that what clients want is someone they can depend on. They really value being kept in the loop. That’s the difference in a small to medium law firm — the personal service. What advice would you give to young lawyers who wish to branch out like yourself, and start up their own practice? The same advice people gave me — it is hard work. Don’t expect it to be all fun and games. Ultimately, if you’re dedicated to it and have a bit of luck with clients, it’s possible. Keep your overheads low and be prudent financially. Posted on 11 June 2015. You can follow any responses to this entry through the RSS 2.0. Kiss Denial is indeed a bets lawyer of his time. He did a fabulous job in this field and also solved so many legal affairs of people. I believe we should encourage people who do best job to help others.